· Vietnamese State/society - At the national level, EDUSHARE will help fulfil the policy goals of the Vietnamese government by producing better trained doctors who will be able to serve the health care needs of society working in 3 prioritized regions: Danang, Hanoi and Hue. Government will be reached via already established relationships, such as partner GHRP, which is an advisor to the Prime Minister’s office on health care issues. Our team will meet with government officials to update them on project progress and they will be invited to the dissemination conference. Also, state approval is needed for the PhD program so regular communication will take place regarding this issue. · Vietnamese HEIs – At the national level, EDUSHARE will enable Vietnam to develop its first PhD program for doctors in the country. All 3 partner HEIs will benefit as they will be given needed guidance on how to improve their physical infrastructure. Both administrative staff and faculty will receive expert training and will be offered networking opportunities, so that they will improve their administrative, teaching and research skills. Improving the skills and education of teachers is the most efficient way to improve the quality of medical professionals at the university level. In addition to the improved teaching knowledge, the project builds the capacity to implement research projects in Vietnam. This in turn will open up opportunities for greater international collaboration in research, possibly with the European members of the consortium. These HEIs will be reached via the various methods described throughout this proposal. 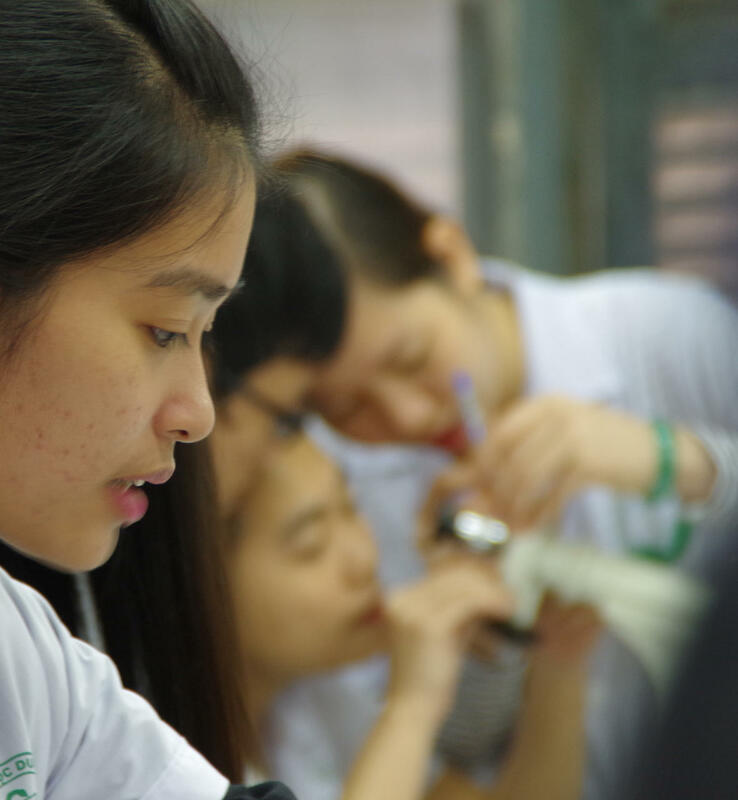 · Current or future Vietnamese doctors/medical researchers – Reached primarily through networks established by HEI partners, as well as their students and staff. Website and dissemination materials will also be used to reach them. They will benefit from CME training, PhD education and networking opportunities that will give them modern research skills. It is anticipated that they will come primarily from the 3 targeted regions of Hue, Danang and Hanoi. Molecular medicine can improve the precision of diagnosis and the selection of efficient therapies. · International Academic/Research community – Represented by EDUSHARE’s European HEI partners, they will benefit from having Vietnamese partners that are better able to engage in relevant research collaboration. This can further expand the global reputation of European institutions and perhaps open up entrepreneurial opportunities. From an international research perspective, being able to conduct research in the Vietnamese population can yield significant benefits, such as understanding the impact/treatment of dioxin exposure (of which Vietnam has high rates). · European/Vietnamese Health Care Entrepreneurs - Reached primarily through networks established by partners, such as GHRP and UMG’s Joint Education and Training Centre in Hanoi which has a contact bureau managed under the University Center for Research Support and Commercial Services (ZFF) which supports research, knowledge transfer and internationalization. The target audience would benefit from networking activities that connect entrepreneurs to researchers to explore exploitation possibilities. In Europe, GHRP has many contacts as has ScanBalt, having hundreds of entrepreneurial members working in Health and Life Science within the Baltic Sea region.